Are you in love with cappuccinos or lattes? 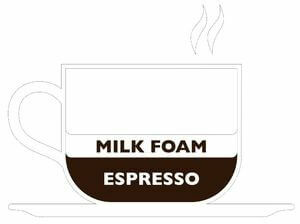 Would you like to make this foamy milk at home but don’t have an espresso machine with steam wand built in? Milk Froth Vs. Steamed Milk - Is There A Difference? What if I tell you, you still can? Right now! I’ll bet you have at least one tool in your kitchen pantry to create some authentic milk froth. Yes? Here you go, I told you! You can froth your own milk at home! 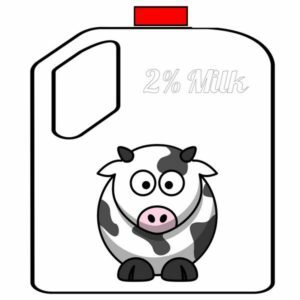 In all my tests, I used cold 2% milk right out of the refrigerator! As you can see in the following video, that you hopefully watch, mostly with great success. If I had repeated these tests with hot milk to see what froth I get, I highly likely would have more milk in my body than blood after the taste tests. What I did test unintentionally, though, is to froth milk at room temperature. I accidentally left the milk out at the counter for too long and as a result, could not find a single bubble after I shook like crazy for over a minute! To succeed in frothing milk without a frother, it's easiest to use ice cold milk! Room temperature won’t create any foam, no matter how long you shake, so don’t waste your time! 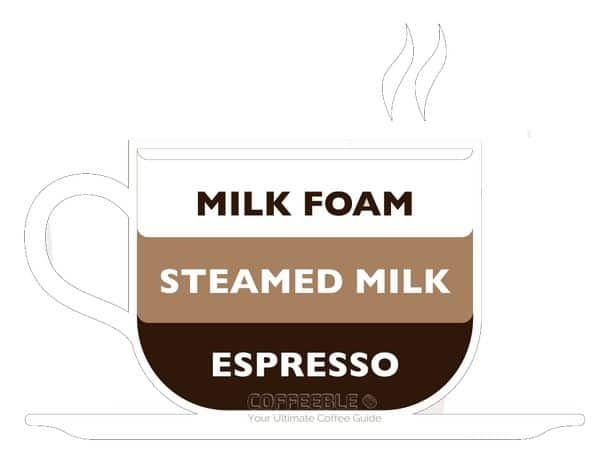 If you want to know more about how foaming milk actually works from a chemistry point of view, I would recommend you to read Milk Foam: Creating Texture and Stability by the Special Coffee Chronicle. But of course, after you have finished my post please! Keep reading and in less than 15 minutes you will enjoy your first cappuccino with foamy, creamy milk froth made at home – by yourself! I tried different sizes of containers and in my opinion, the bigger the container is, the smoother the milk foam will become. Therefore, I would recommend you to save a big, empty gallon jug. However, you get more a bubbly milk froth, not so much a creamy foamy milk as with the french press, but more to that later. Now add as much milk as you need. Since the jug is big enough, you don’t have to worry about how much the milk volume will increase. The next step is to shake as if the world ends tomorrow – for at least 30 seconds! Pour the milk froth in a glass and heat it in the microwave for 30-60 seconds. Make sure to pay attention and watch your milk carefully! After the milk is is heated, it’s only a matter of seconds until the foam rises and boils over. Immediately stop the microwave! Now it’s up to you how smooth you want your milk froth to be. You can either take it out and pour it in your prepared espresso or vice versa. Or you wait a little bit and repeat the heating in the microwave again. When the milk has become foamy enough, put it aside for a few seconds so that the milk foam can separate from the milk itself. Use a spoon for the froth and add the rest of the milk to your strong brewed coffee or espresso. This method is quite simple but has some limitations. The froth is not so creamy and does not create the desired microbubbles. Furthermore, the milk jug is not that easy to fill and clean. Check the video how to make bubbly froth with a milk jug. Enjoy your cappuccino! Making milk foam with a B﻿﻿lenderBottle® (registered trademark) is similar to the milk jug. However, the advantage of a BlenderBottle compared to a milk jug is, that it’s easier to pour the milk since the opening is bigger. Consequently, it’s also way easier to clean, both in the sink or in the dishwasher. 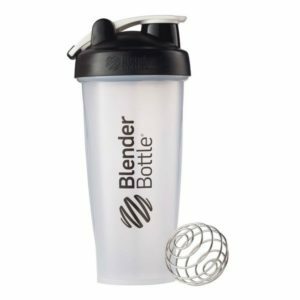 The BlenderBottle comes with the patented BlenderBall which is perfect to mix shakes, dressings, pancake batter, or in our case to froth milk. Again, remember to use ice cold milk right out of the fridge, or you won’t see one bubble. Pour milk in the blender and as with the milk jug, shake it until you see stars. Please don’t :-). Heat the creamy milk in the microwave and that’s it! A tea ball infuser turns a plain shaker bottle into a perfect milk frother for creamy cappuccinos! A hand blender or whisk is a great tool and super easy to get a smooth milk bonnet for your cappuccino. I got the best results when I poured the milk in a narrow but large enough container for the milk foam to rise. If you use a hand blender, make sure to slowly raise the blender head until you hear the fizzling sound so that air can be pushed into the milk. 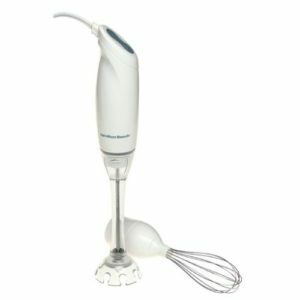 Carefully raise and lower the hand blender until the milk has about doubled in size. Heat it in the microwave and pour it in your espresso. Don't read on without watching the amazing froth a hand blender can produce! 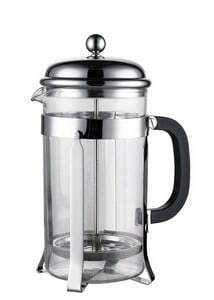 Saving the best for last: the French Press! If you are the lucky owner of one and have exclusively made coffee with it, you really should try to froth milk! It’s so simple and creates awesome creamy, frothy milk foam. I was impressed and did not expect this quality of frothed milk. I’ll keep it short since you can see the results in the video. All you need is to pour ice cold milk in the French Press and push the plunger about 20-30 times or until the milk has doubled in size. You actually have to be careful to not push to often or else the milk froth becomes to stiff. What we want is to get an authentic cappuccino. This means you should be able to just pour the milk into the coffee without the need of a spoon. Next step is to heat it up in the microwave and be amazed of the quality of milk foam. I could just scoop it out of the press and totally forget the coffee. If you make both your coffee and milk froth in the French Press, I would suggest starting with the coffee, since it takes about 4-6 minutes until it’s brewed. To delight yourself with the perfect milk froth, it does not really matter what type of milk to use. It’s about how to prepare it. If you try one of the methods I described above, I would recommend low-fat or skim milk because it’s easier to succeed. Whole Milk has more fat which is heavy and, therefore, pushes down the bubbles. And again as a reminder, I would recommend you to use ice cold milk right out of the refrigerator and heat it up after you frothed it. Whether you have a lactose intolerance or just don’t like dairy milk, it does not automatically mean you cannot enjoy a delicious cappuccino or latte. Below are four dairy-free alternatives and their different milk foam results. Froth can be created by injecting air into the milk until it becomes creamy or stiff. Steaming on the other side is simply heating the milk. typically with a milk frother. In this case, it is not avoidable to get some additional foam. The difference may seem negligible to us but only when you use the correct type of milk – frothed or steamed – you can name your drink cappuccino or latte. Look at the list below which should clarify what type and how much milk to use for the most popular coffee drinks. Needless to say, that you can’t really do both, heating and frothing, at the same time with our manual methods. To froth milk at home opens the door for you to make a variety of delicious coffee drinks. The clear winner is the French Press closely followed by the hand whisk. Both create a really smooth and creamy milk froth with tiny microbubbles. After my tests the BlenderBottle ranks on the third place behind the coffee press and whisk but before the milk jug. The milk foam is smooth and creamy but not as perfect as with the french press or whisk. At last, the milk jug, which can be used if you simply want more than just to add plain milk to your coffee drink. But don’t expect the milk foam to be too creamy. The bubbles are bigger and the froth is more off a stiff and dry type. Related: What Is The Best Automatic Milk Frother? As you can see you don’t need any new tools, all you need is to know how to froth milk the right way! Tell me, what’s your preferred way to froth milk? Please share in the comments below!